Anyone who watches The CW’s Arrow can tell you that the series has, over time, begun to embrace the mystical, magical, and overall supernatural. Well, as it turns out, the series has begun to take embracing supernatural to a whole new level. 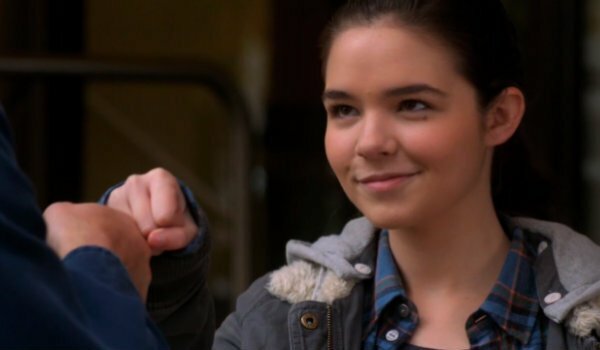 As The CW loves to cross over plots, characters and actors, Supernatural star Madison McLaughlin will soon make an appearance on the Emerald Archer’s hit series, as revealed by the hero himself. Please welcome @MadisonMcLaugh to #Arrow. She plays (redacted) in ep (redacted) & is an expert tailgater in real life. So we're friends now. As you can see from the tweet above, Arrow star Stephen Amell took to social media to notify the world that actress Madison McLaughlin will eventually make her way to Star City for an episode of Arrow. The tweet makes no mention of what episode she will appear in, or what type of character she will play; all we know for sure is that her presence on Arrow has been officially confirmed. The 20-year-old actress has made quite the name for herself in the realm of television, despite her young age. In addition to her role as Krissy Chambers on Supernatural, she also recently began appearing in NBC’s Chicago P.D. You guys are gonna FLIP when you see this new project. Let's just say you've never seen me like this before... ???????? I don’t know about you, but that devil emoji has me thinking that there’s going to be some villainous undertones. It might just be me, but the capitalization of the word "flip" could potentially mean that she will take over Roy Harper's duties as resident parkour badass on the DC series. Maybe she'll be one of the Flying Graysons? The cast of Supernatural and Arrow seem to have an incredibly strong connection, as rumors have also persisted recently that Stephen Amell himself may in fact appear on Supernatural at some point in the near future. Consider our fingers permanently crossed for that to happen. We will bring you more information concerning Arrow – as well as Madison McLaughlin’s upcoming appearance on the series – as it becomes available to us. The show will return from its hiatus on Wednesday, March 23 at 8 p.m. EST on The CW.